Place the PINK cat in the part of the room that faces SOUTH EAST to bring you happiness in love. 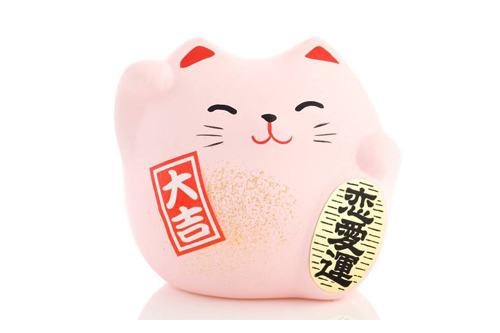 Collect all cats to ensure a complete balance of good fortune in all aspects of life! Dimensions: 2.5″ x 2″ x 2.25″h.